Sense Blogger Template is a fresh, modern and easy-to-use magazine blogger theme with flexible and responsive layout. Sense is suitable for any kind of personal, travel, hobby, life style and tutorial blog etc. 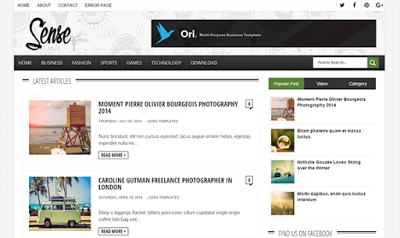 Installing and customizing this free blogger template is very easy. All required informations are provided in documentation.